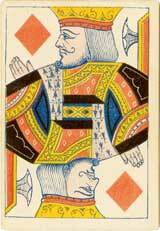 Above: cards published by James English, c.1870. Above: playing cards manufactured by James English & Co (London) in c.1875. 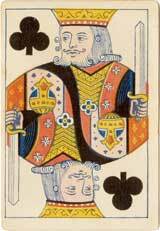 The cards have square corners and no indices, but double-ended courts were established by this time. 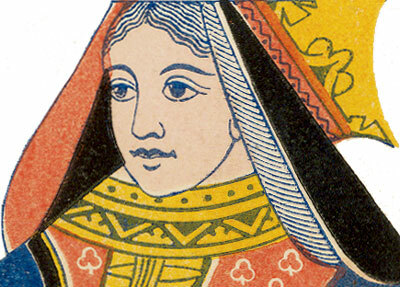 Click here for free fortune-telling using these cards. 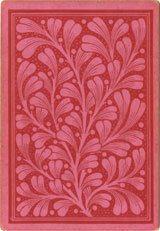 Above: four decorative back designs published by James English. 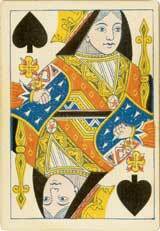 James English & Co was also using the name Peerless Card Company from around 1880.